As homes and cars dry out, Coyote Creek flood victims have come face to face with a new threat – thieves. Robberies are spiking at homes around San Jose's William Street, prompting the police department to bolster its presence and station officers in the area around the clock. “You’re stealing my stuff right in front of my face,” flood victim Ulrika Caballero said. When residents were allowed back into their homes to assess damage, robbers posing as volunteers allegedly try to swipe whatever is salvageable. “When I looked, they had my daughters’ playpen full of clothing, toys and even their bikes,” Caballero said. The alleged crooks appear to be targeting yellow- and red-tagged homes in San Jose, police say. 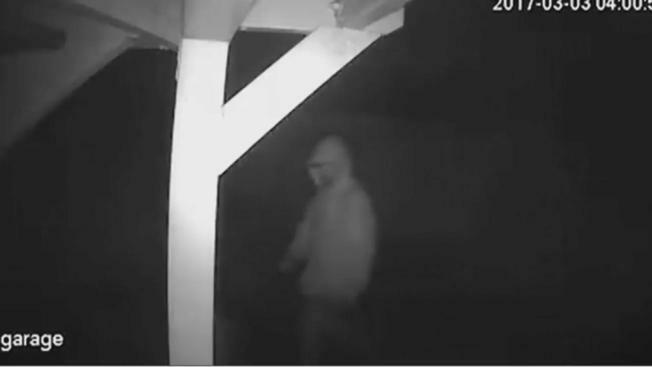 One homeowner installed new surveillance cameras and captured the thieves in action. While the family slept inside, Rob Souza said on Facebook that his house was robbed of electronics and even coins his children collected. “We're sitting ducks,” Souza said. In response, residents have decided to protect themselves and each other. They are increasing their neighborhood watch and even considering staying awake overnight to keep an eye on their belongings.